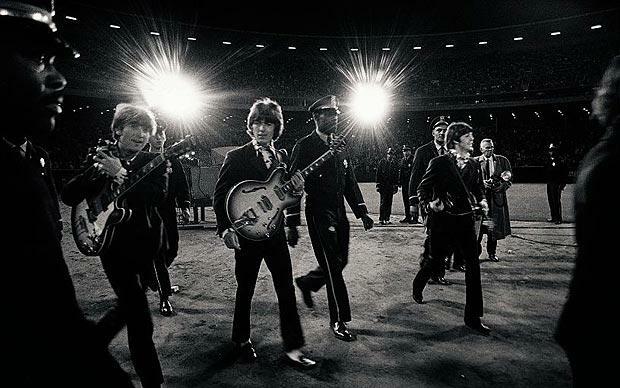 Today is the 44th anniversary of the Beatles’ last concert at Candlestick Park, San Francisco. Fifty-five seconds of lousy video that nicely captures what it must have been like to be there, here. Perhaps that’s what makes the next clip so poignant. There’s no more Beatlemania, no more adolescent girls screaming like Bacchantes. The Beatles’ last audience was just a random collection of people (including a number of noticeably middle-aged Londoners, who are somewhat stiff and formal but evidently still fans) who found their way to nearby rooftops so that they could watch and hear the Beatles in public for what turned out to be the last time. This entry was posted in Anniversaries, Popular Culture, Video on August 29, 2010 by Michael Happy. Tim Lee adds a much-needed dose of sanity to the anti-big-government movement. Full post here. 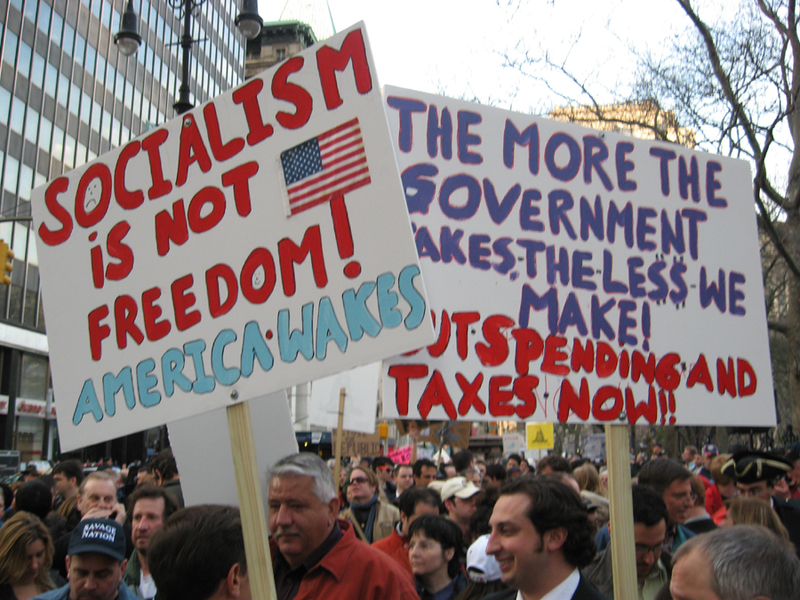 Is the Tea Party “the most dynamic anti-big government political movement in modern American politics?” I think it’s helpful here to unpack the concept of “anti-big government,” because the right uses it in a peculiar and rather perverse fashion. In the conservative (and fusionist) worldview, government activities are evaluated using a simplistic “size of government” metric that treats every dollar of government spending as equally bad, regardless of how it’s used. This has some unfortunate results. It means that cutting children’s health care spending is just as good as cutting a dollar from subsidies for wealthy corporations. And since wealthy corporations typically have lobbyists and poor children don’t, the way this works out in practice is that conservative politicians staunchly oppose the former while letting the latter slide. Worse, mainstream conservatives give programs involving the military and law enforcement a free pass. Conservatives vociferously (and correctly) oppose giving the FCC expanded power over the Internet, but they actively supported the NSA’s much more comprehensive and intrusive scheme of domestic surveillance. Conservatives support a massive expansion of government power at our southern border to restrict the freedom of Mexican migrants. They seem unconcerned by the fact that we have more people in government-run prisons than any other nation on Earth. This distinction makes no sense. When American soldiers gun down Iraqi civilians and blow up a van that comes to rescue the survivors, that’s a government program. When a SWAT team conducts a military-style raid on the home of an innocent Maryland mayor and kills his dogs, that’s a government program too. Obviously, law enforcement and national defense are important functions of government, but these highly coercive government programs should be the subject of more public scrutiny, not less. In-depth investigation of plutocratic interests behind the Tea Party and global warming denialism movements here. This entry was posted in America, Current Events on August 29, 2010 by Michael Happy.